If you’re looking for cute baby boy photos, you’ve come to the right place! This little guy was the absolute sweetest. He had me a little worried at first during his session. It appeared he was going to stay up and party with me. However, once we swaddled him up and mom gave him a nice full feeding he was out like a light. I first met this little guys parents during their maternity session. Mom is a nurse and dad is a med student. I think it’s safe to say this little guy is in great hands! Mom asked for blues and greys and I think it was a wonderful choice. The colors compliment this little guys complexion and the dark colors really go well with a lot of my props. 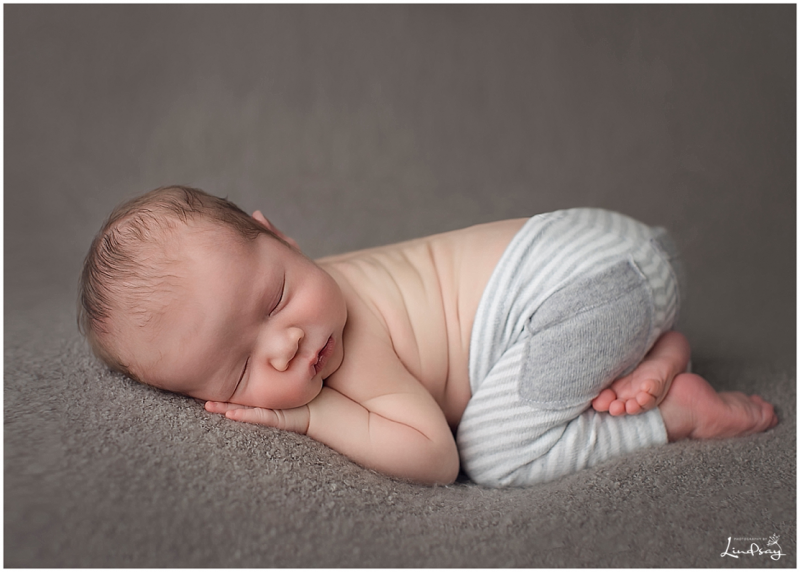 All newborn sessions with Photography by Lindsay are customized to meet my clients style. Set ups and colors are discussed before the session takes place. My large amount of props and outfits makes it easy for me to find items that will work for just about every client request I have. To view more of my recent work, please feel free to visit me on facebook. Thanks so much for stopping by! Katie - These images are absolutely PRECIOUS!! I love the lighting and the style of each image! These are parents are so lucky to have a photographer like you to capture the sweetness. Shannon Payne - He is so cute, his family is beautiful, and your posing is perfection! Great work! 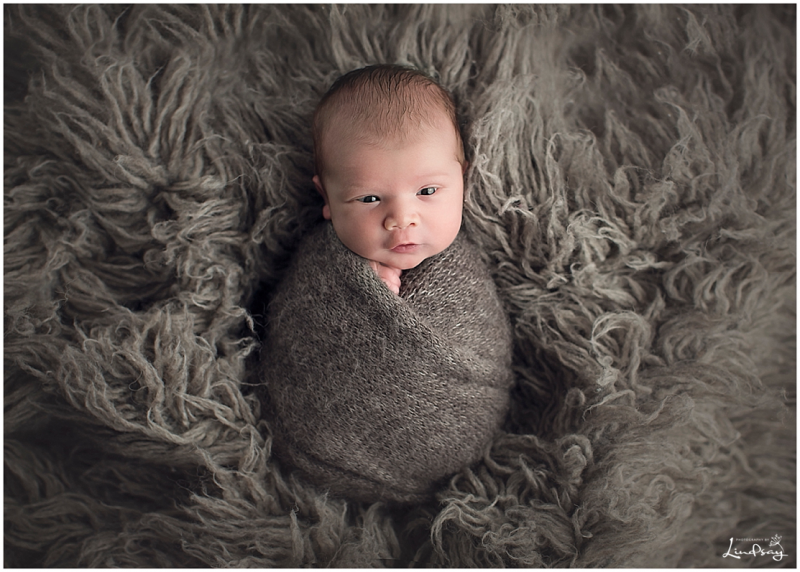 Natasha Wiening Photography - Your newborn images are simply STUNNING! The colours are so vibrant and your photographs are so crisp, amazing in every way! Linda - What a beautiful family! Your gallery is full of gorgeous images for their family to choose from. It would be hard to narrow done, hope they go big!